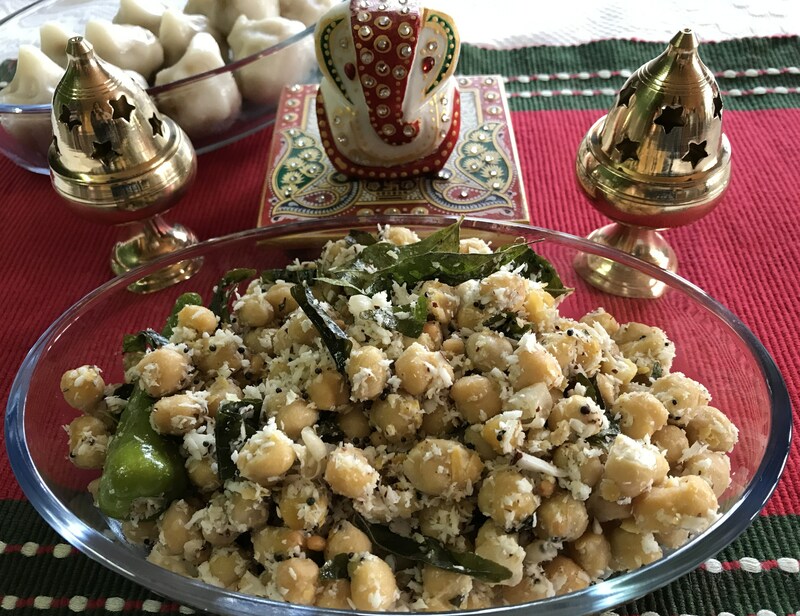 Sundal or stir fried lentils are not only part of Navaratri (dosaikal/navaratri and the sundal connection), but also a speciality on pillayar chathurthi or ganesh chathurthi. 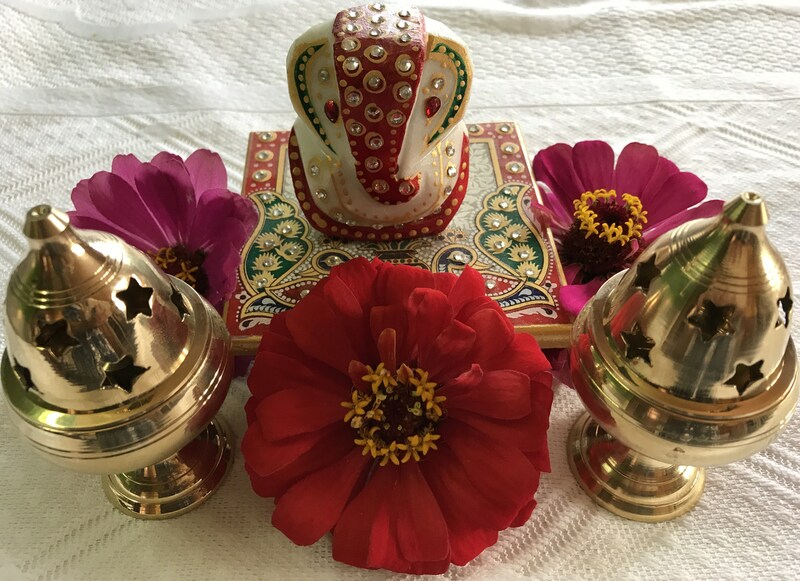 Starting from the day Lord Ganesha stays at every home immediately after the chathurthi day celebrations, extending till the day his clay idol is immersed in the nearby sea or river, the evenings are flavorful ones with different kinds of Sundals offered to him. This is the norm at home. 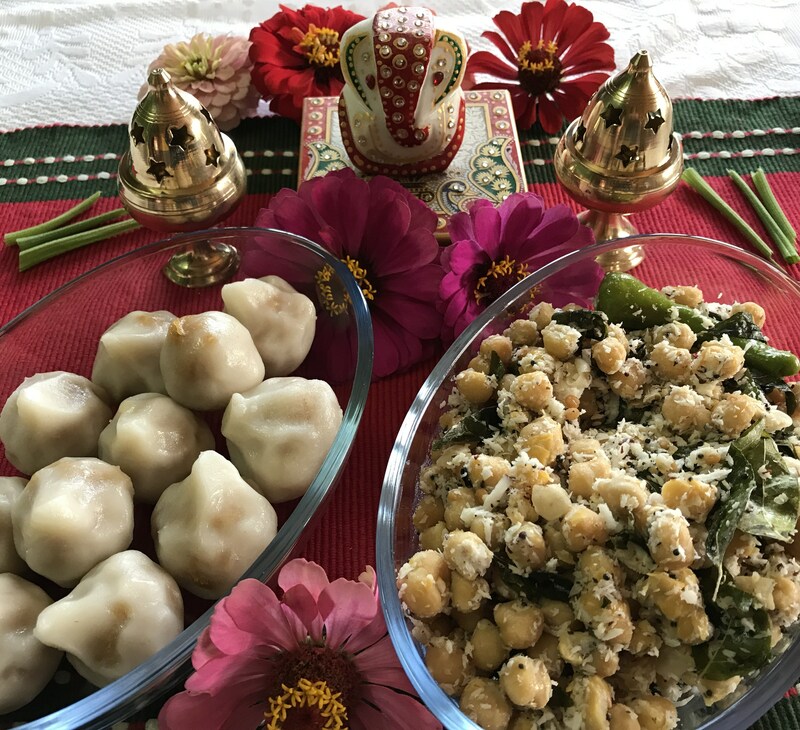 So, this Ganesh Chathurthi, I thought I would make white chick pea sundal with the ellu kozhukkattai/sesame seed dumplings. The extra special artwork of the day was the creative kozhukkattais by the little one at home. 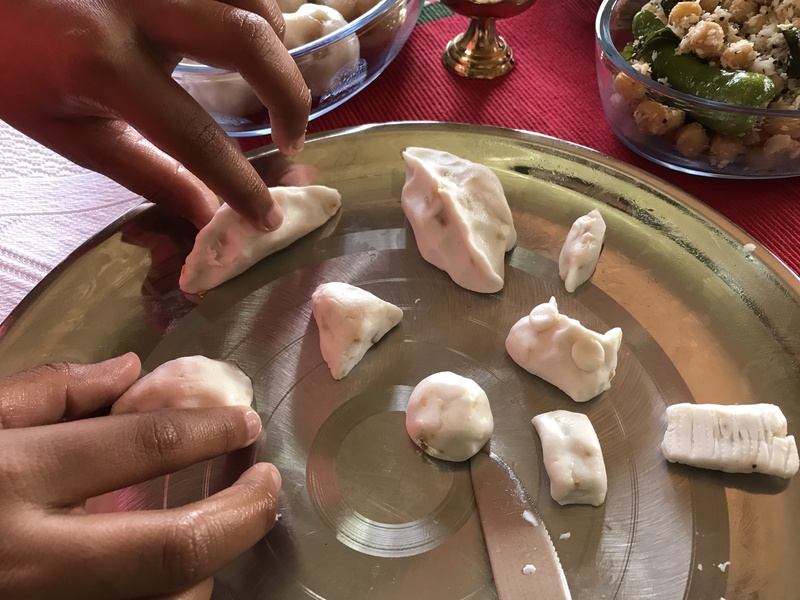 The dumplings came out in various shapes and truly were a great treat. 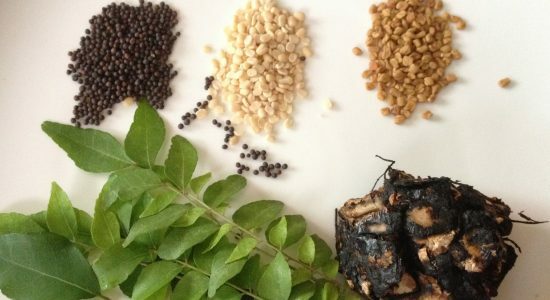 So, straight to the Sundal or the healthy stir fried lentil recipe. pachai milagai/green chillies – 1 no. 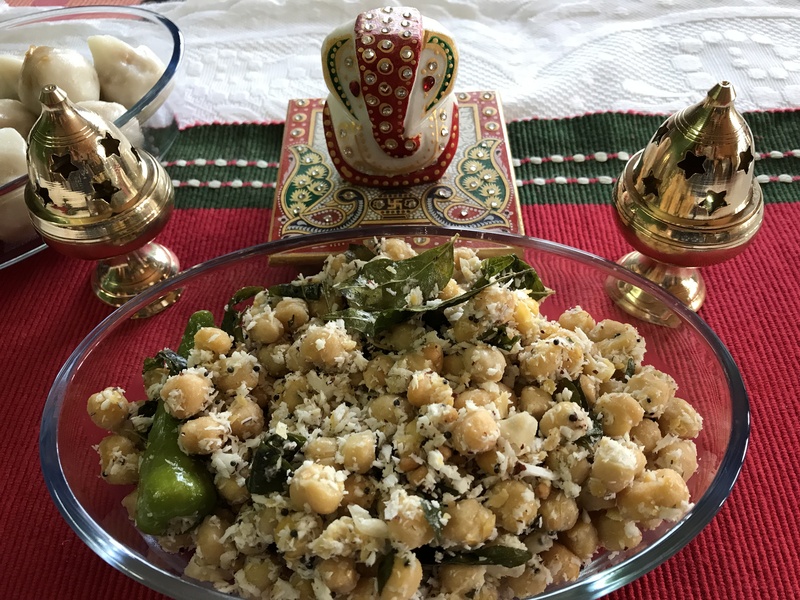 Coconut can be added while sundal is still getting stir fried. Then, the color of fresh coconut is lost but an excellent flavor of pan roasted coconut enhances the salad. My choice is non-roasted fresh coconut to be cautious of those extra calories due to roasting!